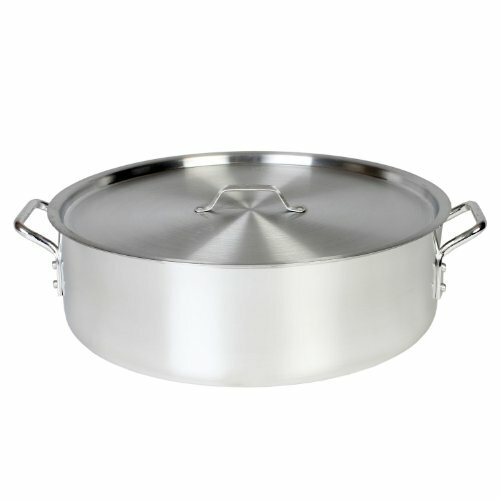 24 quart aluminum brazier pot with lid. 6 mm thick extra heavy aluminum body. Mirror Finished surface allow easy maintenance. Flat bottom for even level cooking. NSF approved. Capacity available in 8, 12, 14, 20, 24, 30, 35 and 40 quart.